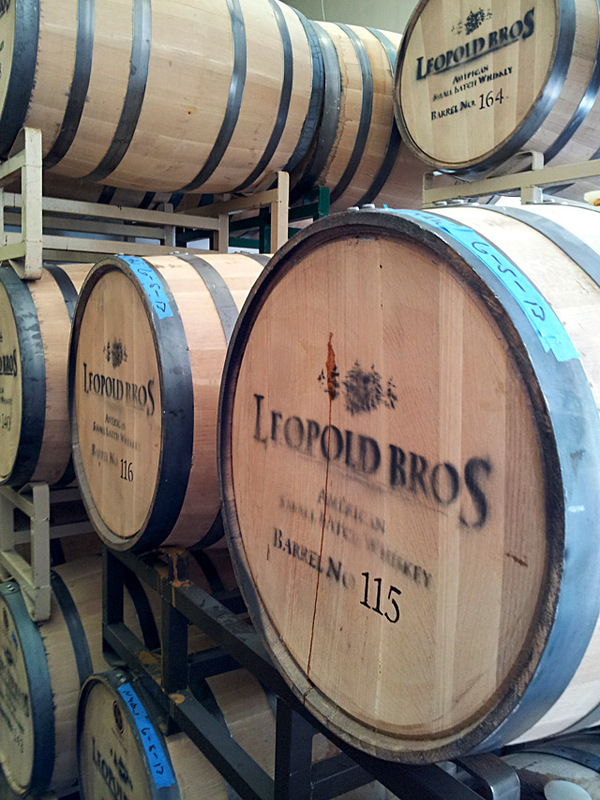 I recently was invited to participate in a tour of the Leopold Brothers distillery in Denver. I’ve long been a fan of their liqueurs and this trip enabled me to see the inner workings and sample their full array of distilled products; liqueurs, gin, whiskies and absinthe. I’m not sure I would recommend a tour on a 100 degree day; even with lower humidity that’s hot and a nice rain insured we were having humidity almost unheard of in Denver. It was like a combination visit to a sauna and a distillery! Scott Leopold was our tour guide and he made the trip worthwhile though; his knowledge, humor and certainly his passion for what they do all served to make it a most delightful trip. Well, that and the samples! The story of Leopold Brothers is an interesting one that weaves from Colorado to Michigan and back home again to our lovely state. Originally from Colorado, the bothers ran their operation; a successful distillery and restaurant, in Ann Arbor, MI until 2008 when they decided to move the distillery operation back home to Colorado. Todd Leopold is the genius behind the creations that are crafted and Scott, an engineer, runs the business end. 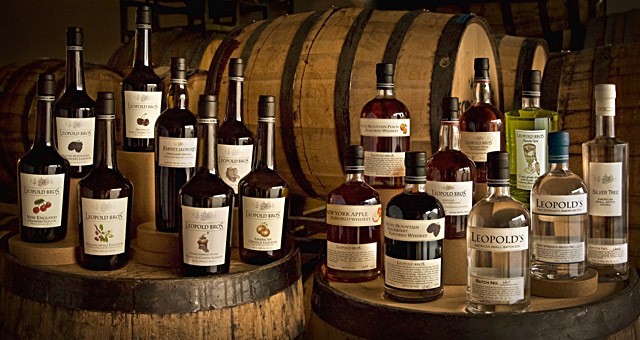 Together they bring a unique and interesting perspective to the crafting of several liquors and liqueurs. Their attention to detail including the historical perspective of some of their creations is most impressive; these guys really care about the quality of the product they bring to market and it shows. They were breaking ground on a brand new plant the week we were visiting so I know I’ll be back and Scott has promised me a personal interview at that time. I’ll get some photos of their new digs and share more of their story but in the meantime I would be remiss to NOT share my favorite of their line, their Michigan Tart Cherry Liqueur. Cherries are generally categorized as either sweet or tart. The former predominates and are what most maraschino cherries are derived from, while the more rare sour varietals are what are mainly used in cooking. For the Leopold Brothers cherry liqueur, they use the very finest Montmorency tart cherries from the Northern reaches of Michigan. These tart cherries are prized the world over, and yet no one else in the world produces a liqueur with these perfect little stone-fruits. They start by de-stoning the fruit using a special hand held masher, collecting all the rich juices, then adding eaux-de vie and a pinch of turbinado sugar to balance out the tart cherry flavor. The liqueur is then moved to glass demijohns, where the flavors and spirit slowly blend together. Unlike other cherry liqueurs which are often made with artificial flavors that take on the likeness of a maraschino cherry, Leopold Brothers cherry liqueur maintains a balance between slightly tart, and a twinge of sweetness that can only come from real Montmorency cherries. As a result, Leopold Brothers recommend it in many turn of the century cocktails like the Cherry Cricket and suggest it would also be a welcome addition to a hot stack of pancakes. For me? 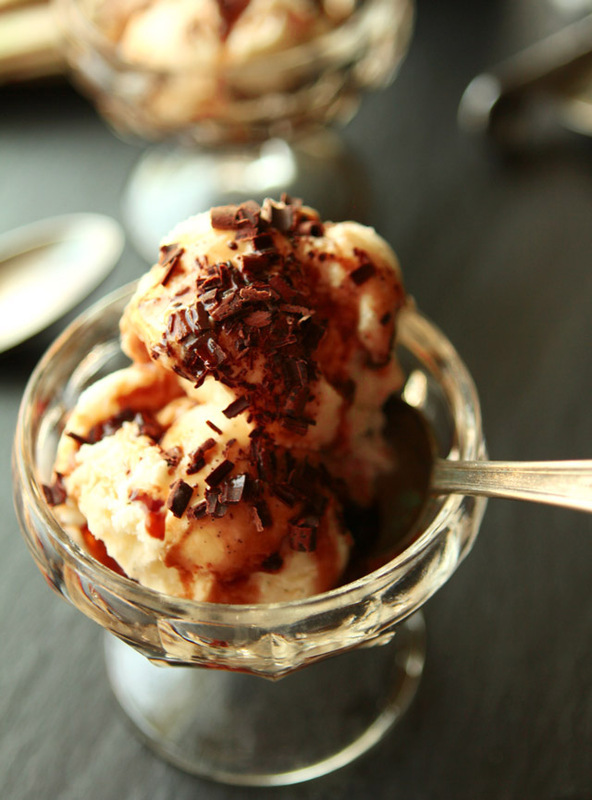 I love it mixed simply with Prosecco or Cava as an apertif but one of my favorites it to just pour it over some vanilla bean ice cream that I’ll garnish with shaved chocolate; it is a simple dessert and totally to die for! Should I even share that I made this in the morning and yes…that was my breakfast. No judging; you would have done the EXACT same thing! We did get to sample their full line and I know that alone would be good reason for a lot of folks to visit but for me, the history and the absolute attention to detail is what I loved. After having visited another local distillery that focused on gin and vodka, I knew enough to know how unique it is that Leopold Brothers distills each individual botanical separately for their gin. The end result is a remarkable, clean finish that had me itching for a gin and tonic in the worst way. I admit I use gin sparingly in cocktails but it’s summer and gin and tonics are a mainstay so I’m excited about trying this spirit soon; as in this weekend. I think we’ll have a gin throwdown…who’s coming? I’m not ready to give up my allegiance to the liqueurs but I have to tell you their whiskies are making that hard. Amazing. Their small batch and rye whiskies were great but add some elements of fruit and for me they were over the top. Their fruit whiskies follow the 19th century practice of adding the juice of peaches, raisins, or even plums to mellow the character of blended whiskies. Maybe because we’re just hitting peach season and I can not get enough of them but it was all I could do to not squirrel away that bottle of Rocky Mountain Peach Whiskey. You know how I love to cook with booze; I’m already tasting a peach cobbler with a touch of somthin’ somethin’ in it, you know? 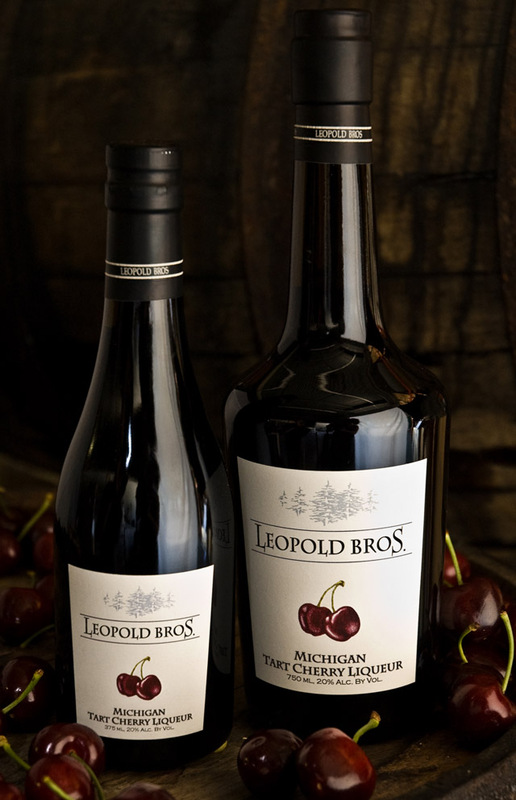 Leopold Brothers are available in stores and restaurants in select states. If you’re elsewhere, check out one of these sites for shipping information . For more information and recipes; please visit the Leopold Brothers website and if you’re in Denver after the first of next year, their new space will have a large tasting room and tours. Don’t miss it! Scoop ice cream into glasses that have been in the freezer for at least 5 minutes. 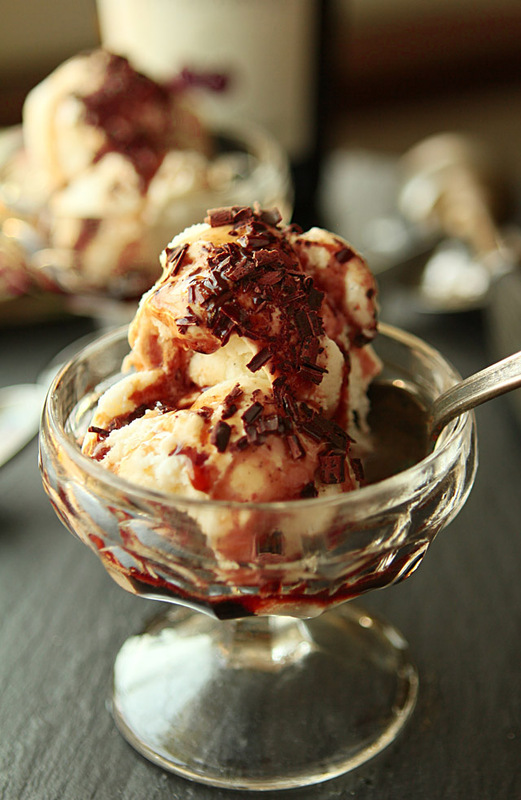 Pour liqueur over ice cream and garnish with chocolate shavings. I already taste the tart cherry liquor of Leopold Brothers but didn’t thought about having it with ice cream. It sounds mouthwatering! I’m gonna try this soon. Tart cherry liqueur sounds awesome! 🙂 Great recipe! I have always wanted to try some Leopold Brothers products. I really want to try this liqueur, as tart cherries are one of my favorites. You won’t be sorry…it is amazing! I’ve been to lots of wineries, a few breweries but only the Jack Daniels distillery. I’d love to know more than I do. Then I’d like a dish of this ice cream with all the goodies you’ve put on. This is when I wish we were all closer; I would just invite all of you over for a tipple. SO good; worth getting some shipped if you ask me! Oh my, this looks divine! Cherry liqueur is one of my favorites. Love the sound of this dessert! It’s divine and so simple…sort of the best of all worlds! You continue to open my eyes to what Denver has to offer, thanks! I will plan on visiting for the tour with my in-laws after the first of the year. I’d love to sample their gin. A neighbor made me a refreshing gin and tonic last week and it made me wonder why I don’t do the same at home more often. Your dessert looks wonderful. And, yes, I would have eaten it for breakfast too! They are great aren’t they Holly? I’m hoping once their new place is open we can do a blogger event; there is a story behind everything! Great post! 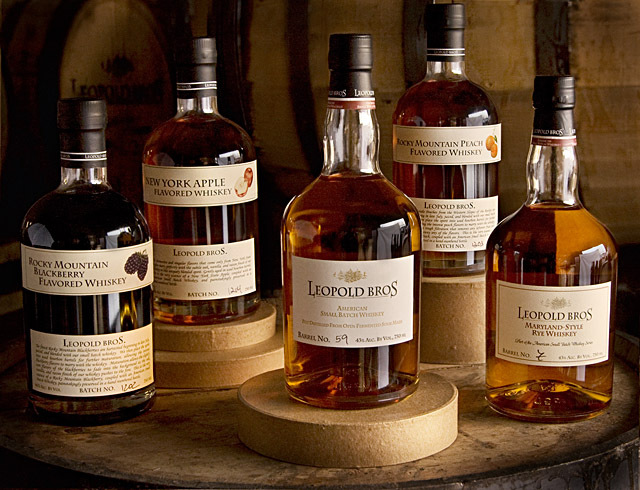 I’ve not had the Leopold Brothers goods, so I’ve missed out – I’ll have to take a trip to Illinois to buy some. Liqueurs + ice cream = summer bliss! During the winter I’ll take my liqueurs neat, thank you very much. 😉 Really good stuff – thanks. This is a dessert that would make me very happy…perfect for summer. I might add a few fresh cherries to top it off as they are in the markets right now.